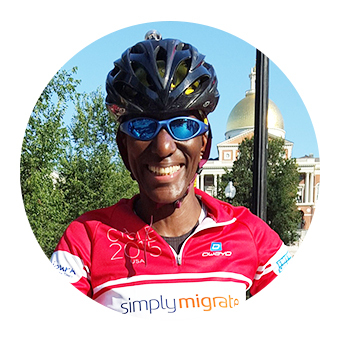 What inspires me to coach: I love to see how through the disciplines of triathlon, a positive impact on lives and skills it brings athletes as they become better equipped to face the challenges that life inevitably bring. Helping athletes achieve their goals what ever their challenge and being a part of their journey to achieve it. What inspires me to coach: Having started teaching swimming in 2004 and with swim coaching qualifications in both New Zealand and Canadian I have taught a wide range of abilities, ages and confidence. Starting with being relaxed in the water is key for me and then I teach progressively from this point. Sessions are very much focused on technique and of course having fun. What inspires me to coach: My experiences and background in health/fitness/strength and conditioning helps me understand the needs of the athlete at all levels. In my spare time I am also a Triathlon Race Official and volunteer on the London Region Triathlon Committee as the Coaching Co-ordinator. Audrey has competed in over 80 events including triathlons/aquathlons/5k and 10k runs/half marathons and a number of sportives! What inspires me to coach: Having been the athlete for most of my life, I wanted to pass on some of my knowledge and become one of the coaches. Coaching has given me the opportunity to help others learn and develop as triathletes; I really love seeing the amazing improvements people are making in the club. I am interested in the performance side of coaching and also enjoy providing the team with some challenging swim sets! What inspires me to coach: I focus on running and coaching the juniors in a vital role to delivering fun, engaging, supportive and developmental sessions for children learning the three sports in triathlon. 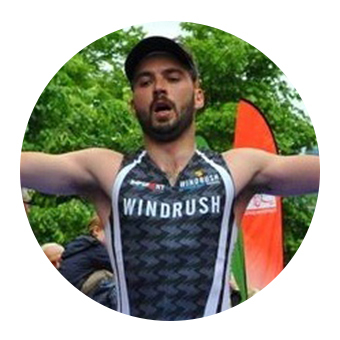 What inspires me to coach: I loved my first triathlon it so much that I packed in the day job and became a full time Personal Trainer and Triathlon Coach with Windrush. I specialise in run analysis and strength and conditioning to iron out any weaknesses as well as being passionate about helping people realise their goals and get the most of out their training. Qualified for the World Championships Standard Distance for past 4 years! What inspires me to coach: I have enormous energy and passion for the all things tri and it has helped introduce more friends to the sport with the focus of a healthier lifestyle not just quick times. This enthusiasm has led me into coaching and in 2016 I qualified as a BTF Level 1 coach and currently completing the Level 2 course. 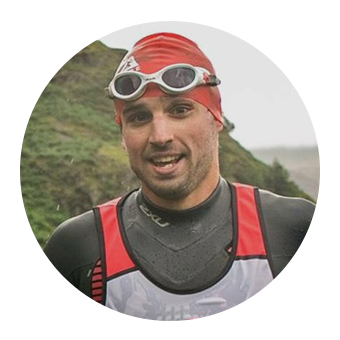 When starting triathlon Ben couldn’t manage more than 50m front crawl fast forward to today and he has completed 30+ races of varying distances across the country! What inspires me to coach: Being a psychologist by profession it's all about healthy body and healthy mind, but most importantly enjoying what you do. Most people know I am not the most competitive but still believe in giving everything your best effort, that goes for training too! Sam did her first triathlon as part of her ‘30 before 30’ list, and loved it so much she wanted to do more so joined her local club Windrush and she’s not looked back! What inspires me to coach: I’m passionate about helping people achieve their swim potential. I’ve been teaching and coaching children and adults since 2014 in individual, small group and full class environments. At all times my focus is to teach good technique for open water and triathlon swimming whilst also delivering enjoyable sessions. Anna’s completed a number of marathon swims over the last 7 years including several Dart 10km swims, a non wetsuit 28km 2 person relay of Lake Zurich (2013), and 3 person relay of Galway Bay (2018). 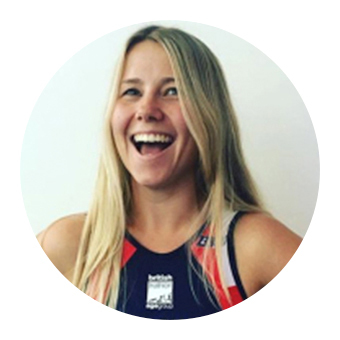 What inspires me to coach: Recognising the positive impact that triathlon has had on my health and wellbeing, I was inspired to move into coaching to help others experience the same.